I don’t think a taco Buddha bowl is actually a thing, but that is exactly what I’m declaring this bowl of delicious goodness. 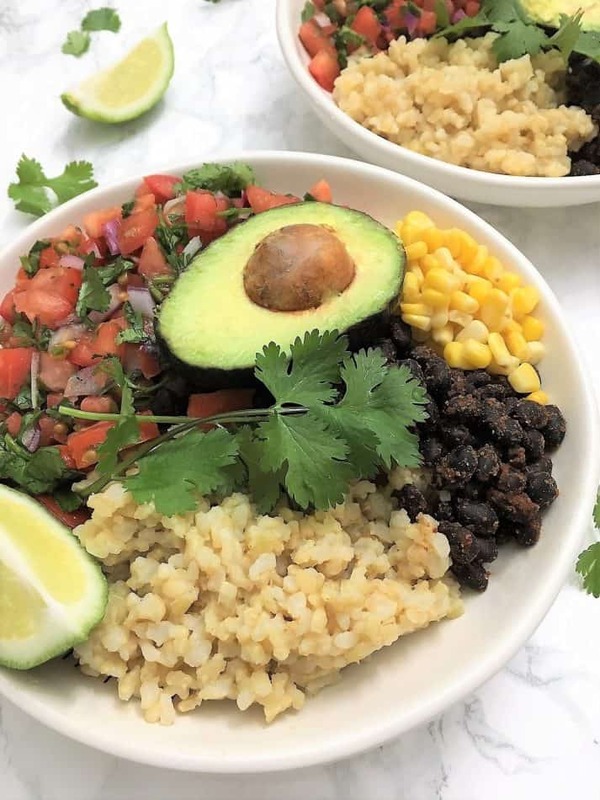 A Buddha bowl, as defined by Urban Dictionary is a “bowl which is packed so full that it has a rounded “belly” appearance on the top much like the belly of a Buddha.” So yes, this taco goodness in a bowl definitely fits the criteria. I’ve also heard another version of the origins of the Buddha bowl, although for the life of me, I can’t recall where. But the story goes something along the lines of, the Buddha would walk around town with an empty bowl. Then, each neighbour he encountered would give him a spoonful of their food. So at the end of the day, he has a full bowl of food with a little bit of many different things. Both origin theories make sense to me! 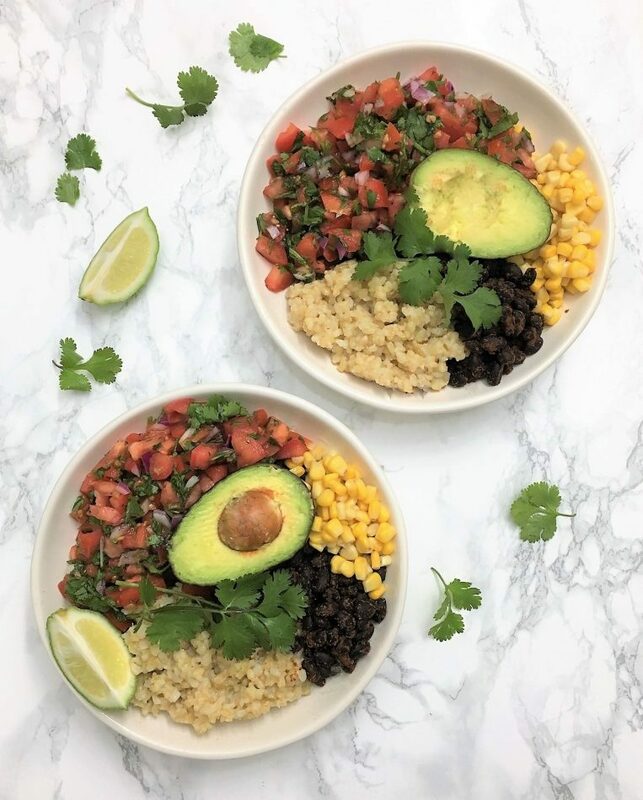 And either way, this taco Buddha bowl fits the criteria! It’s a nicely rounded bowl filled with a little of this and a little of that. If you don’t have the time or patience to assemble the bowl in sections like this, it’s not totally necessary. You can just toss all the components together if preferred. Once you start eating, everything gets mixed together anyhow, which is just how I like it! The flavours combine so beautifully together, for a truly perfect bite. My first ever homemade Buddha bowl. It certainly won’t be my last. I’m already brainstorming new combinations, so stay tuned! 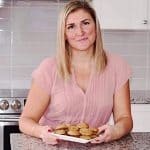 For more healthy, balanced meals in a bowl, try these! 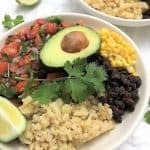 Taco Tuesday meets Buddha in this Mexican inspired taco Buddha bowl that is oil free, absolutely delicious, and made using wholesome ingredients! In a small bowl, combine all the salad ingredients and mix well. Set aside. 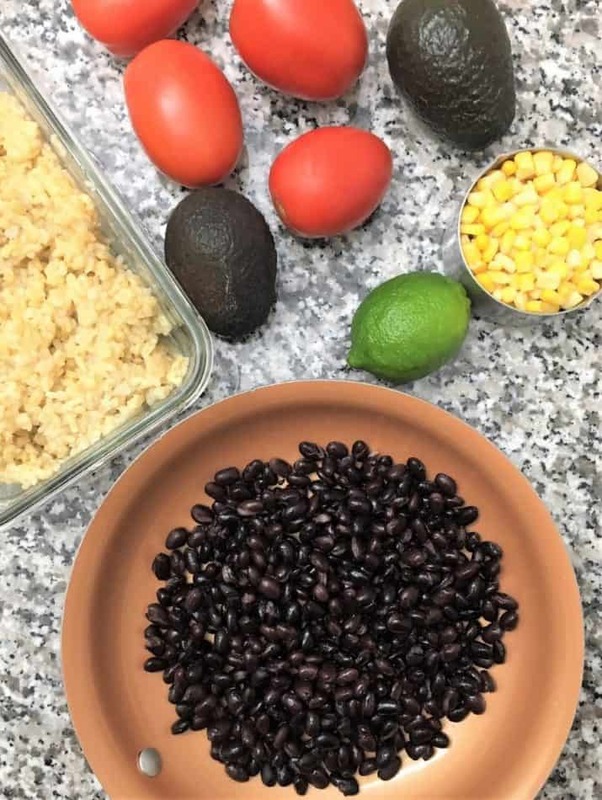 Add the black beans, all your seasonings, plus a tablespoon or two of water to a large skillet. Mix well and heat over medium low heat for about 4-5 minutes to heat the beans, and absorb the flavours. Assemble your four Buddha bowls, dividing the components equally between each one. Garnish with additional cilantro and lime wedges if desired. Mmm this looks fantastic! 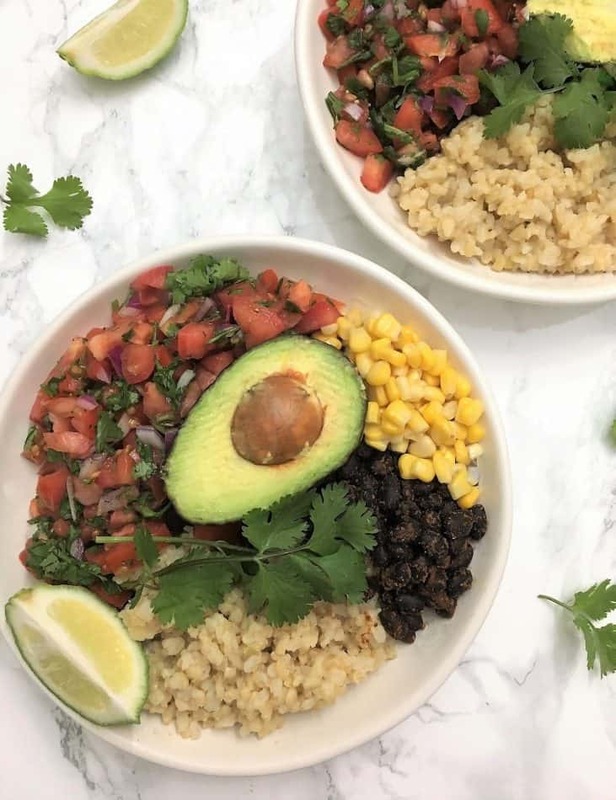 What a great idea combining Buddha bowls and tacos 🌮 I’m thinking of making these for my family with their fave taco toppings — corn, avocado, black beans and rice like in your recipe (and maybe I’ll add a touch of salsa)! !